Nevada Copper has commenced construction of its Pumpkin Hollow underground project, and has a fully permitted open-pit project in the wings — two projects that promise a brighter future for the “sleepy” City of Yerington, Nevada. Yerington Nevada is a small city that, by its own mayor’s description, is a little sleepy at the moment. That’s not to say there’s nothing there — it’s an active community of 3,500 with a healthy agricultural sector, currently dominated by white onions, it’s located near the Tahoe-Reno Industrial Center, which provides high-tech jobs, and it’s in a mineral-rich district with 33 billion pounds of copper identified. It’s that copper resource that Nevada Copper (TSX:NCU) wants to tap into with its double-whammy project that is Pumpkin Hollow, which contains not one, but two mutually exclusive projects on the edge of town. In August, the company announced it would be going ahead with construction at the underground project — the smaller of the two, but which would have a capacity of 5,000 tonnes of throughput per day grading 1.74 percent copper equivalent for an average annual copper production of 50 million pounds over a 13.5 year mine life. The underground operation is due for first production in Q4 of 2019, while the larger open-pit operation only a few km away is fully permitted, with the company projecting construction to begin in early 2020. Looking down at the Pumpkin Hollow project in Nevada. Image: Scott Tibballs. For a town like Yerington, which has suffered from a drain on its workforce as young people move away to find work elsewhere in mining-friendly Nevada, a mine (or two) like that on its doorstep is good news. Mining isn’t new to Yerington — in fact the Mason Valley where it’s located is still scarred by mining projects come and gone in the Anaconda Copper mine, closed since 1978 and an issue of contention since. Nevada Copper has been on the scene since 2005, when it bought the Pumpkin Hollow property to the east of the town, and it’s been an item of interest to locals ever since. The company didn’t discover the copper there — it’s been known about since the 1960s when US Steel explored the area and discovered plenty of magnetite, but no mine was ever built. Looking towards Yerington, with tailings from the Anaconda copper mine visible on the other side of the valley. Image: Scott Tibballs. The company did more drilling over the years and was watched eagerly by locals that wanted the jobs that would come with an operational mine — and now they’ll get their wish, as local authorities have been doing their best to roll out the red carpet. “With Nevada copper we’ve invested a lot of time and energy and some money too, and we look forward for it to go forward, and build our community around it,” said Dini. Vice President for Environmental and External Relations for Nevada Copper Tim Dyhr said that the relationship between the company and the community was a partnership. “In 30 years I’ve worked all over Nevada, all over the world — I’d say this is the most supportive community I’ve ever been in,” said Dyhr. Lyon County Manager Jeff Page said August’s news was a long time coming. “I cannot find anybody in town yet that has a negative comment about Nevada Copper having a mine. They have negative comments about how come Nevada Copper doesn’t have the mine built and going. According to Page, unemployment in the region currently sits at 4.1 percent, down from 19.9 percent 5-6 years ago during the heights of the financial crisis — so it’s no wonder locals want primary industries to anchor down in the region. A unique aspect of the project is that it’s on private land contained within the City of Yerington — the result of four years of negotiations between the city, Nevada Copper and the federal government. That means taxes flow more readily to the immediate community and net proceeds, which the city and county will put towards one-time projects due to fluctuations in yearly totals, can be spent on infrastructure upgrades. Machinery to be lowered into the Pumpkin Hollow underground. Image: Scott Tibballs. Besides funnelling taxes into the community, the deal ensured that without cutting any corners, the permitting process was much faster with a mining-friendly landlord in a mining-friendly state. Page and Dini said that both the city and the county and local institutions were working towards making the district an ideal locale for Nevada Copper and Pumpkin Hollow. “We’ve been anticipating this for some time now and putting our ducks in a row, getting things built,” said Dini. Besides the opportunities that a new mining operation in town will bring to local authorities that have infrastructure to maintain, Page and Dini said that all the trimmings that came with an influx of workers, industry and business would be able to renew and revitalise the community. “None of my kids are going to live here. There isn’t anything to keep them here,” said Page. Dyhr, who sits on the institutional advisory council for the community college in the town, said he was encouraging educational institutions to work on programs that would train students to be qualified for opportunities in mining. The control room for Pumpkin Hollow underground. Image: Scott Tibballs. Paul Schmidt, the project manager for Cementation, the company contracted for pre-construction work, shaft-sinking and underground development work at the Pumpkin Hollow underground, said that there was plenty of long-term interest in the project from workers all over Nevada. “This job here, they can actually live at home and work. We’ve picked up quite a few folks from the Reno area. I think that number will grow,” said Schmidt. Dyhr said that while communities with “legacy issues” with mining — like Yerington, which is neighbours with the tailings dump from the Anaconda Copper Mine — are usually against mining, Yerington was the opposite. “They weren’t anti-mining, they were anti-EPA (Environmental Protection Agency). They were so frustrated with the EPA not taking on cleanup — it’s been a supportive community. Keeping people informed, said Dyhr, included making sure community leaders didn’t read about new developments in the newspaper, but instead heard from him first — which they did while INN was visiting, as Nevada Copper released a PEA for the open-pit operation that would be four-times the size of the underground operation. Dyhr said the company was working to ensure it was never surprised by anything in the community or from other interests in the area — a policy that had so far paid off. An issue that might have popped up was one of water rights — “fighting words” in Nevada, said Dyhr. He explained that the company did not buy any additional water rights for the mine, but as a flow-on from being within city limits, is instead a customer of the City of Yerington. There’s also enough water for the mine, he added, highlighting the company’s use of dry-stack tailings in their plan for the mines. A process that reduces water consumption by 65 percent, according to the company. 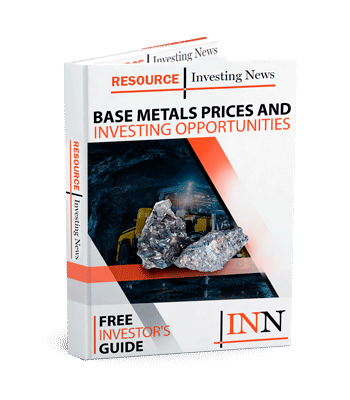 President and CEO of Nevada Copper Matt Gili said that while the copper price is low (US$5,840 a tonne during INN’s visit), Pumpkin Hollow was ideally placed to take advantage of increased demand for the base metal. He explained that when the copper price rises — so do all the costs around developing projects. The Pumpkin Hollow project sits on private land within the City of Yerington. Image: Scott Tibballs. Getting back to the 33 billion pounds of copper in the region Yerington sits in, Gili said that Nevada Copper intended to have the first mover advantage with the upcoming processing facilities it envisages for its projects. While Nevada Copper plots its future with two major projects on its plate — one currently steaming ahead with a 13.5 year mine life from Q4 2019, and another set to begin construction in 2020 and projected to go into production in 2022 with a long mine life — the City of Yerington could well find itself at the center of a rising industry as electricity-intensive industries set up nearby. 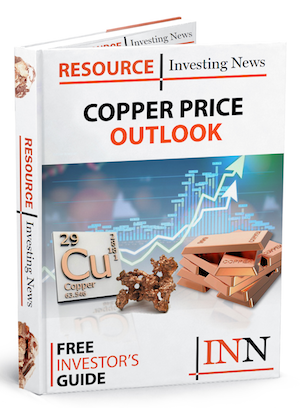 Editorial Disclosure: Nevada Copper is a client of the Investing News Network. This article is not paid-for content. Pumpkin Hollow travel and accommodation were provided by Nevada Copper.